IFA partnered with the International Bar Association's Franchising Committee to develop a program for some of the world's leading practitioners and experienced legal counsel. Assessing a franchisor’s readiness for international expansion. Selecting the countries for development. Choosing the right franchise partner. Key business terms to address. Understanding local law and franchise registration/disclosure obligations and trademark requirements. Understanding the applicability of domestic law and its impact on an international franchise agreement. Speakers: Larry Weinberg, Cassels Brock & Blackwell, Toronto, Canada; Don Wray, Domino’s Pizza LLC, Ann Arbor, Michigan, U.S.; Tao Xu, DLA Piper LLP (US), Washington, DC, U.S. There is no extra charge to attend this intensive for those already registered for either the IFA Legal Symposium or the IFA/IBA Joint Conference. 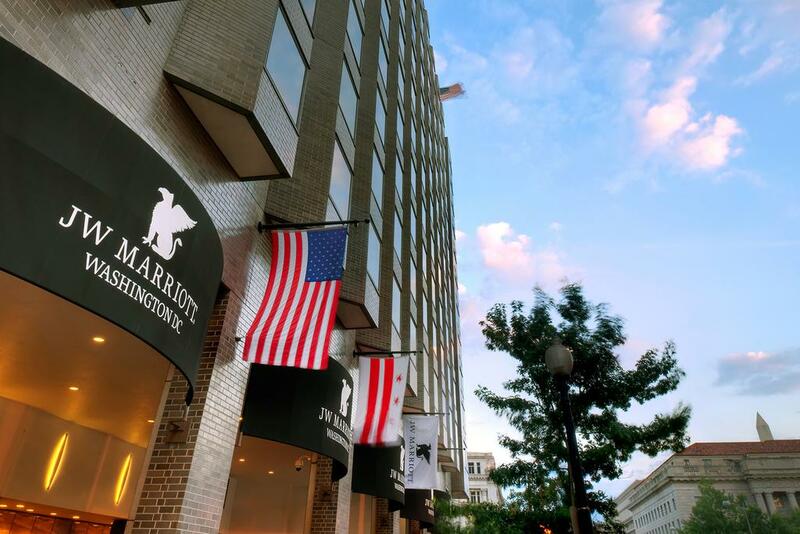 *Mastro’s steakhouse is located two blocks from the JW Marriott at 600 13th St NW. Cocktails and hors d’oeuvres will be served from 6:00 – 7:00 pm. Dinner will be served at 7:00 pm. **One ticket to this reception and dinner is included in the IBA/IFA Conference registration fee. Tickets to just the reception and dinner are also available for purchase. Welcome and Introduction by the IBA International Franchising Committee Co-Chairs and IFA. Speakers: Francesca Turitto, Studio Roma Legal Partners, Rome, Italy; Luciana Bassani, Dannemann Siemsen, Rio de Janeiro, Brazil; Josh Merin, VP, International Affairs & Chief of Staff to the President & CEO, International Franchise Association, Washington, DC, U.S. This session will be comprised of a series of roundtable discussions on various topics of interest to franchise lawyers from around the world. 1. Selected Litigation Issue: How Do Franchisors Defend Actions Arising from Financial Disclosures? 2. Selected Contractual Issue: Common Clauses for Agreements with a Franchisee Who Has Other Franchise Operations in Similar Areas of Business. Host: David Bond, Fieldfisher LLP, London, U.K.
3. Selected New Business Issue: The First Five Top Issues for Starting a Cannabis Franchise. Host: Carl Zwisler, Gray Plant Mooty, Washington, DC, U.S.
4. Selected Tax Issue: Withholding Taxes and Permanent Establishment Issues in Overseas Franchising Structures. 5. Selected Regulatory Issue: In a Franchisee’s Breach of GDPR Situation, What Are the Immediate Actions to Be Taken by a Franchisor? This workshop will explore issues, provisions and drafting options for five of the most negotiated provisions in international franchise agreements, namely the grant/reserved rights provision, the tax/gross up provision, the indemnification provisions, the default/termination rights and the guaranty/corporate or personal undertakings. This workshop will focus on both the business and legal provisions that are commonly at issue in negotiations. Session Chair: Rob Lauer, Haynes and Boone, LLP, Austin, Texas, U.S. Speakers: Jay Huh, Little Caesar Enterprise, Inc., Detroit, Michigan, U.S.; Graeme Payne, Bird & Bird LLP, London, U.K.
Post-term covenants typically include undertakings of non-solicitation, non-dealing, confidentiality and non-compete restrictions. They are vital in protecting the integrity of a brand’s network, goodwill and customer relationships. This workshop will explore the different types of legal frameworks in major foreign markets in addressing these post-term covenants, how practitioners can tailor the post-term covenants to reflect the actual business needs and the applicable legal requirements and the enforcement strategies that are practical and effective. Session Chair: Tao Xu, DLA Piper LLP (US), Washington, DC, U.S.
An international franchise transaction inevitably raises legal issues where input from qualified local counsel is a practical or legal necessity. Issues can relate to local intellectual property protection and licensing, cross border corporate and tax structure, franchise contracts, franchise law compliance and other local laws that may not even be known to the franchisor. This workshop will consider issues such as whether retaining local counsel is legally, practically or ethically required, best practices in working with local counsel, proper role of in-house/outside counsel and local counsel, rules and consequences relating to unauthorized practice of law, insurance and malpractice issues and billing issues. Speakers: Beata Krakus, Greensfelder, Hemker & Gale, P.C., Chicago, Illinois, U.S.; Kerry Renker Green, The Wendy’s Company, Dublin, Ohio, U.S.
1. Sector Focus: How have e-marketing, internet platforms and social media changed the hospitality and travel sector? 2. Influencers: Impact of so-called ‘influencers’ and social media on luxury brands in hotel, leisure and travel. 3. Big Data: The value of data collected by platforms brings up questions of fair play, dominance and data protection. 4. MFN Clauses: What are MFN clauses, and what is the impact of these clauses on franchise chains? 5. Third Party Platforms: Can brands legally restrict the use of internet platforms or social media by their franchisees? 6. Impact on Franchise: Do’s and don’ts for franchisors and franchisees to get ahead of the game in today’s digital world. Speakers: Mark B. Forseth, Marriott Hotels International, Washington, DC, U.S./London, U.K.; Stephan Manuel Nagel, Taylor Wessing, Paris, France; Sidd Pattanayak, TripAdvisor, Boston, Massachusetts, U.S. Many franchise systems have successfully expanded their brands to the countries of South America, while others could not overcome market challenges and hurdles. This panel will feature a discussion of do’s and don’ts when expanding to South America. Speakers: Mauricio Ferreira, InterContinental Hotels Group, Atlanta, Georgia, U.S.; Don Wray, Domino’s Pizza LLC, Ann Arbor, Michigan, U.S.
A panel of expert franchise law practitioners from select countries around the world will discuss recent and topical legal developments affecting franchising in their countries. Speakers: Silvia Bortolotti, Buffa, Bortolotti & Mathis, Turin, Italy; Nicola Broadhurst, Stevens & Bolton LLP, Guildford, U.K.; Stewart Germann, Stewart Germann Law Office, Auckland, New Zealand; Peter Snell, Gowling WLG, Vancouver, Canada; Kendal H. Tyre, Nixon Peabody, Washington, DC, U.S.
To book your hotel room, please visit the FAQ section at the bottom of this page. How can I book a hotel room at the JW Marriott? Please click here to reserve your room. Full refunds (minus a $50 administration fee) will be granted for registrations cancelled at least 14 days in advance of the conference. A 50% refund (minus a $50 administration fee) will be provided for registrations cancelled 7-14 days in advance. No refunds will be permitted for cancellations less than 7 days in advance or for “no-shows.” All requests for refunds must be made in writing to the IFA at events@franchise.org. There is a $50 substitution fee. Can I earn CLE, CPD and CFE credits? Yes, you can. Your attendance at the IBA/IFA Joint Conference qualifies you for Continuing Professional Development (CPD) credits. The conference has been accredited by the Solicitors Regulation Authority of England & Wales. The number of CPD points/hours available may vary for other bar associations and law societies depending on their criteria. If CPD accreditation is required by delegations from other countries, the IBA will be pleased to supply a certificate of attendance. Contact the Conference Department (confs@int-bar.org) or +44 (0) 20 7842 0090 at the IBA for more information. In addition, you will also earn Continuing Legal Education Credits (CLE’s) in most US states by attending this conference. Details on how to obtain credits will be available onsite at the IFA Registration Desk. You will earn 150 Education and 150 Participation credits toward completion of the Certified Franchise Executive (CFE) accreditation by attending this conference. What are the future date for this conference? Where can I find the Papers and PowerPoints from previous IBA/IFA Joint Conferences?